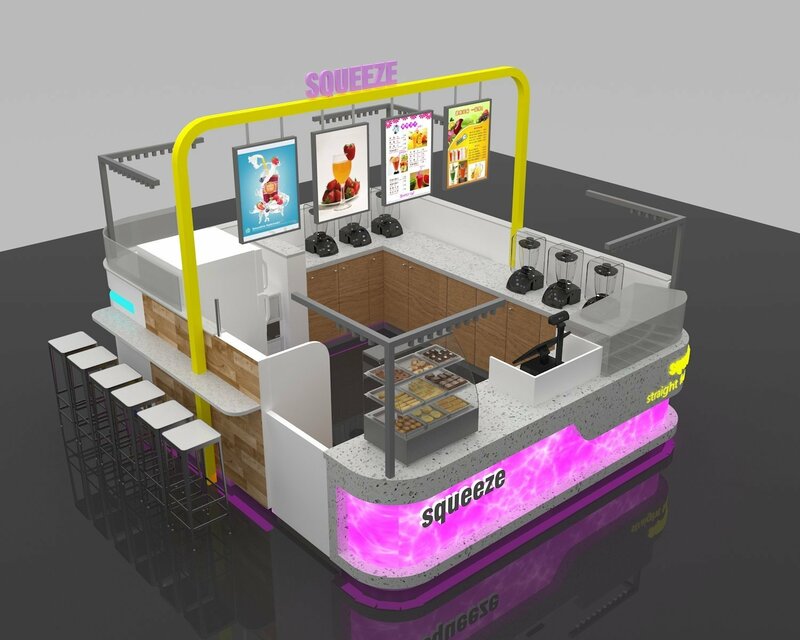 Now summer is coming soon… Will you want to start the business of fruit juice? A good looking design will attract many people to come to you. 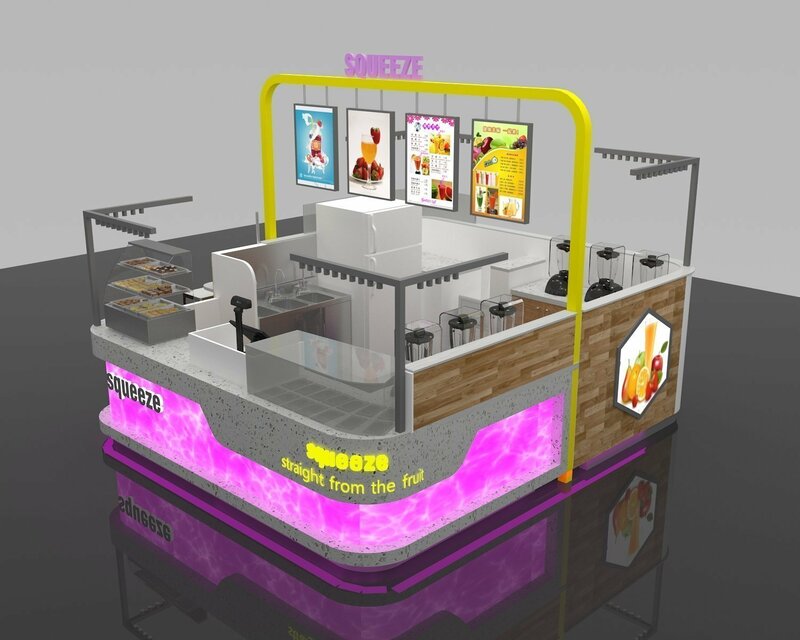 Please see the below I will introduce a very nice fruit juice kiosk design to you. 1. What the materials we will use for the fruit juice kiosk? Surface material: wooden laminate, white laminate, sunshine stone. Glass: 8 mm tempered glass. 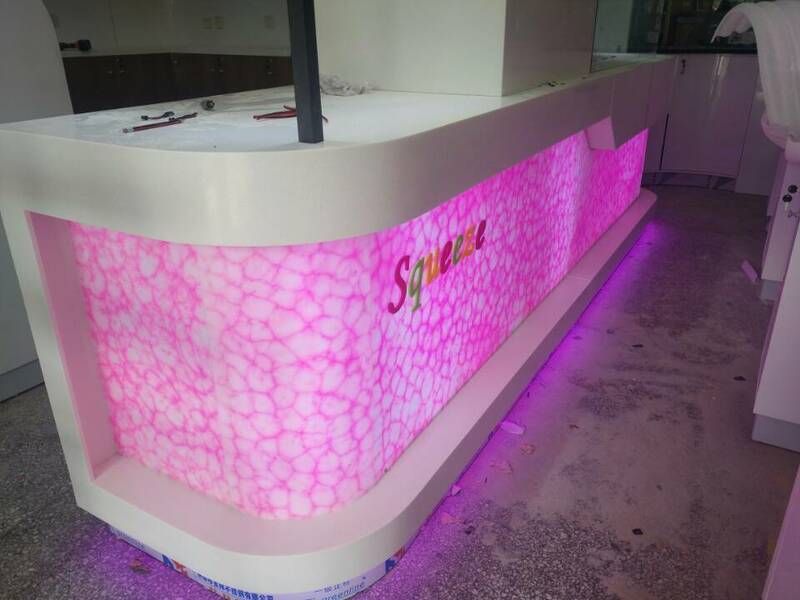 Others: Acrylic luminous logo, lighted box, LED strip light, spotlight, toppings. Hardware: same lock with key, stainless steel skirting ( usually 100mm height ). 2. What the basic material can you choose? 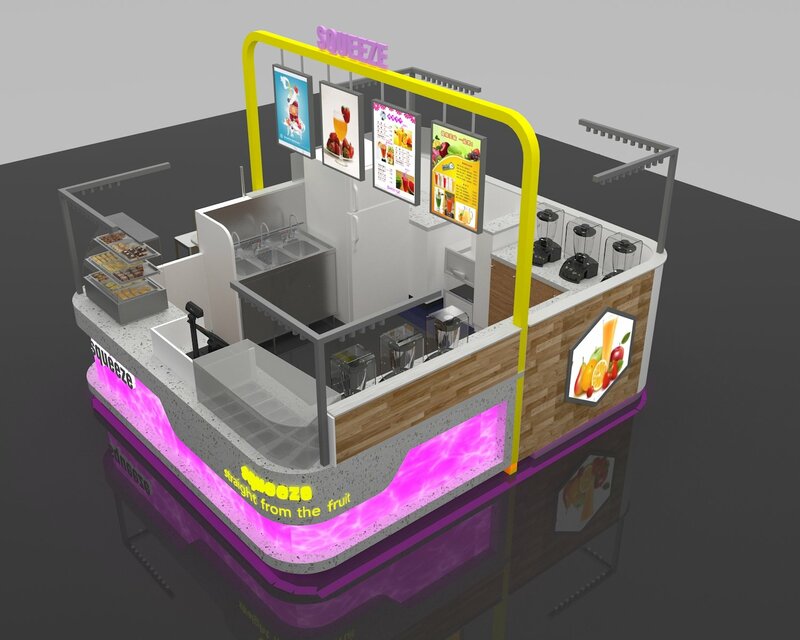 The first one is plywood, this is the main material we usually use for food kiosk. 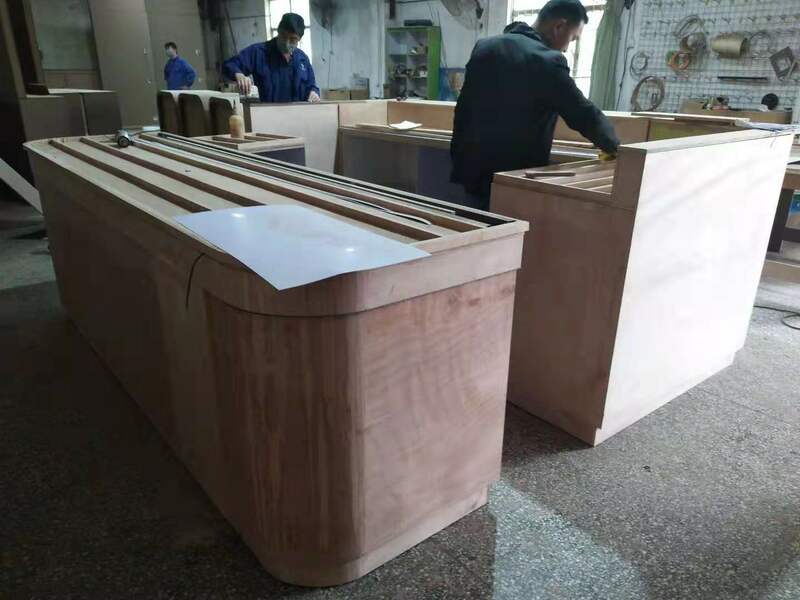 We use E1 grade plywood It is very waterproof and strong. Another one is MDF ( Medium Density Fiberboard ), it can be made into various shapes. Such as lamp bulb, round ball and so on. 3. What size and colors can you choose? We are the customize factory, so any size and any colors both ok. The size is depends on your location ( if you have the floor plan to send us, then we can suggest you well ). 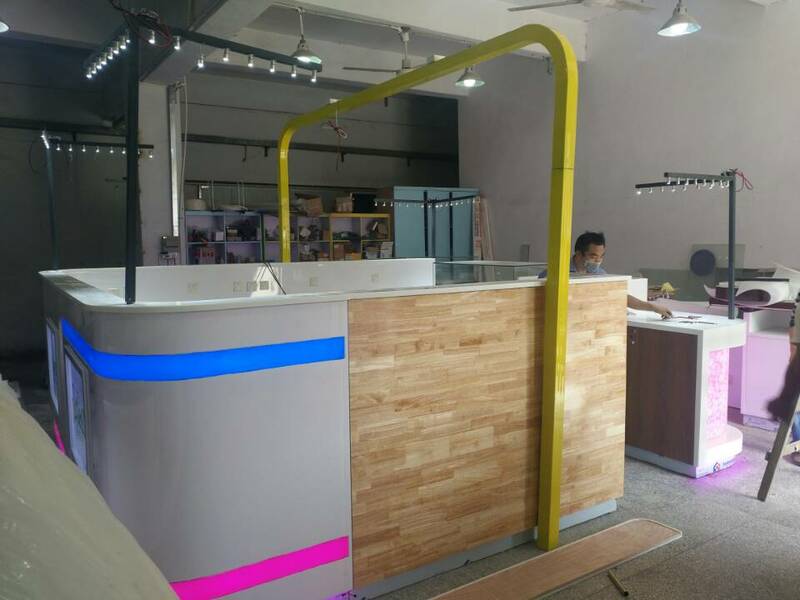 For the colors, we will send the color sample to you confirm before the production. 4. 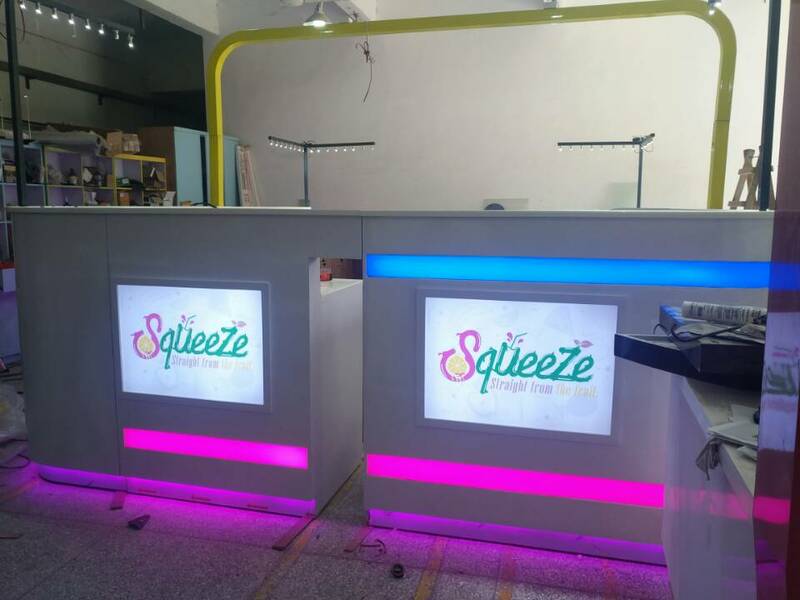 Please see the below real production pictures of the fruit juice kiosk. 5. 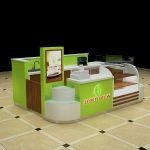 How to packing with the fruit juice kiosk? 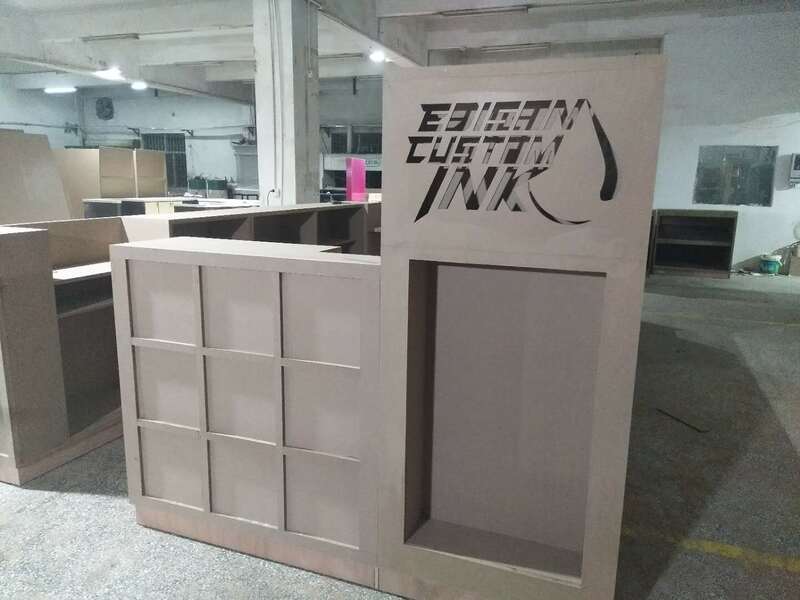 We will package the kiosk with foam inside and wooden box outside, it will be very strong. And you can make sure that it will not damage during the shipping. 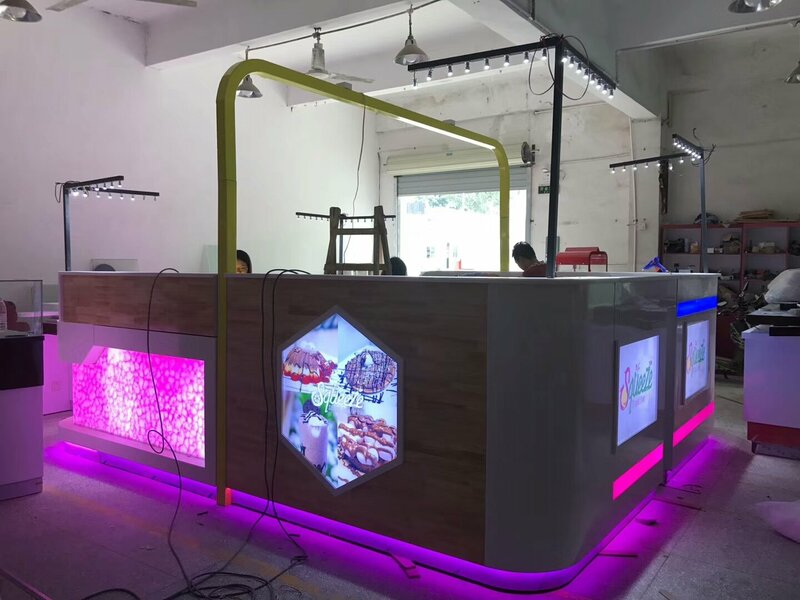 When you received the kiosk, very easy and simple installation, and then you can get started your business. Do you want to start now? 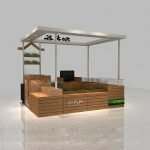 Don’t hesitate, we usually charge 300USD for the KIOSK DESIGN DEPOSIT, please feel free to contact us if you have any questions and ideas. Thanks for your time to reading, WELCOME TO INQUIRY!! !